He is known as a rock-solid and stable bass player in the Danish jazz milieu. In almost 10 years he has been here, there and everywhere. He has played with Morten Schantz, Thomas Hass, Mads Kjølby, Alain Apaloo, Cathrine Legardh and many others. On his debut album, he has travelled all the way to Brazil, though. And with local musicians he has created a wonderful album. Bass player Morten Ankarfeldt has teamed up with Brazilian guitarist Caio Marcio, who is said to be the next big thing overthere. The music is written and arranged by the two musicians. A whole list of musicians are involved in the album, but Paulo Sérgio Santos on clarinet makes himself heard on three of Morten Ankerfeldt’s tunes; where O Reid a Inhanga has been a favorite from the first time I listened to the album. First and foremost it is a bass player’s and a guitarist’s album. Marcio’s acoustic guitar and Ankerfeldt’s double bass takes up a lot of space. 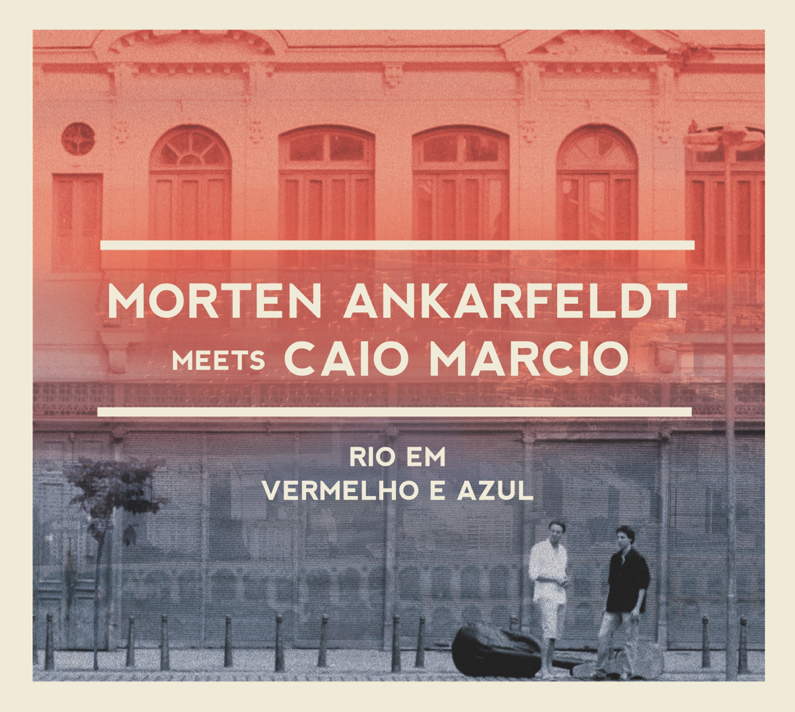 The Danish bass-up-bringing of Ankarfeldt is full and elegant and it really suits the crispy guitar playing from Marcio. Caio Marcio has arranged some old Brazilian tunes and they are followed by a wonderful version of Kai Normann Andersen’s Man binder os på mund og hånd (a Danish classic) in arrangement by Ankarfeldt. It is a very recommendable album.